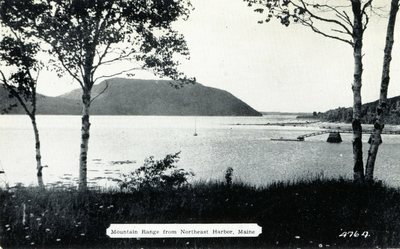 "Northeast Harbor, Maine, View of Mountain Range "
A black and white photograph of the mountain range visible from Northeast Harbor, Maine. Printed text on the postcard includes the number 4764. This image was scanned from an undated postcard.